Innovative web design makes an important statement in the marketplace. At Dexign, we can create an impressive online presence for your business or help you reinvent an established one. ‘Dexigned’ sites combine innovation with compelling design concepts to yield striking web destinations that get noticed, ranked and revisited. Our studio is abuzz. We are continually and actively exploring new technologies for showcasing our clients and learning about new ways to extend those technologies even further. We are continually and actively exploring new technologies for showcasing our clients and learning about new ways to extend those technologies even further. HTML5 offers ground-breaking new stylized design specifications that extend the power of the designer and the overall presentation of your content by leaps and bounds. HTML5 is the the new standard at Dexign. New responsive design technology offers optimal viewing and interaction across all mobile devices and screen sizes, from desktop PC to mobile smartphone. Now your site will always look great on any device, without the need to continually pan and zoom. Visit our portfolio and gallery pages to view a few of the projects we have built for clients in our short history as a design studio. Please contact us if you have any questions about our services, current or future design options, or studio operations. Each of our clients is extremely important to us. Customer satisfaction and quality assurance remain essential prior, during and following the design process. Dexign is a full service digital design studio with origins in web and print, and overall media experience pre-dating the modern web. We specialize in collaborative web design and offer a broad range of high quality, value-priced services. We use only state of the art, industry-standard authoring and production tools to deliver high-end, standards-compliant sites. Adobe Brackets and GitHub’s Atom, along with Microsoft’s Visual Studio, are used exclusively for web authoring, page creation and additional development tasks. Adobe Creative Suite is the industry and studio standard for pixel and vector based image creation, manipulation and animation. Naturally, we utilize many tools in this powerful suite, including Photoshop, Illustrator, Dreamweaver, and for publishing projects, Adobe InDesign and Quark’s QuarkXPress. Clients can contact our studio for answers to any of their questions or for tips on maintaining their sites, including free or low cost tools, training and support resources. 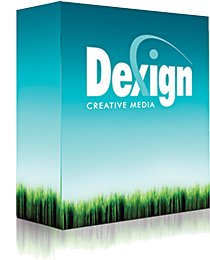 Dexign Media operates as a locally-based commercial design studio and agency in Hermiston, Oregon and serves small businesses, organizations and individuals in northeast Oregon and southeast Washington. We also operate a separate press-exclusive bureau, called ImagePress, for digital press design and prepress. Dexign’s new studio trailer is now available. 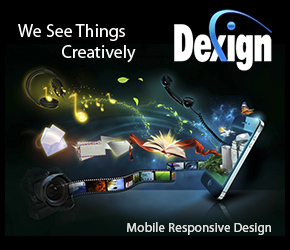 ‘See things creatively’ and learn how Dexigned sites and services get you noticed. Flash and high-speed connection required.